What would I say to my 2015 self on August 11, 2015? And it did change. It so many beautiful and incredible ways. This girl has taught us how to love bigger and better. She has taught us how to forgive and give second chances. She has taught us to never give up. She has taught us to be brave and face all our fears. She has taught us to work hard, harder than we can ever imagine. She has taught us to accept everyone. Everyone. She has shown us true beauty and excellence in this work and she has networked us with more incredible people that I could ever count. Yes, life certainly changed forever when she came along. But it was the best, more beautiful change I could ever imagine. Oh to go back three years ago tonight and show myself to beauty that lay ahead. My sleepless night would have surely transformed into the best rest I've ever had. Happy birthday, precious girl! We are so lucky to call you ours! It’s been a year since we moved into our new home - a move that was tailored around creating an accessible home for Eliza. A whole year! I can’t even explain what an incredible move this has been for her. The ability to go anywhere and do anything in her own home is such a simple but impactful change. Her independence has gone through the roof and we. are. loving. it. So what’s the next logical step? We say an accessible back yard! Having an outside space that a kiddo in a wheelchair can manage is really difficult. Grass is crazy hard to push a chair through and reaching things is near impossible. But it was important to us to give her the fully opportunity to be a kid and play outside, especially in her own yard. 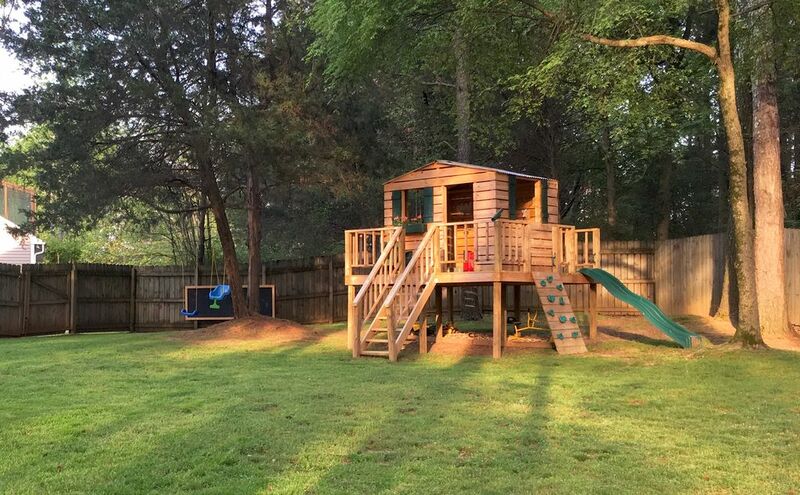 When we moved, we left a beautiful custom treehouse that my husband and father in law built for our son Jake. It was completely just six weeks before Eliza was diagnosed with spina bifida. We knew pretty quickly that a treehouse like that really wasn’t ideal for a kiddo with mobility issues. Our original tree house at the old house. Also, they don’t sell backyard kids for accessible playhouses at the home improvement store. Even the existing playhouses that site on the ground don’t have openings wide enough for chairs, or fully ramped entrances. This definitely hadn't been done before. We were starting from squared one. But that’s never stopped us before! It wasn’t long before we had dreamed up what this sweet little space would look like, and once again, my hubby and father in law got to work. We wanted to give Eliza a playhouse, but also a separate space next to the playhouse for things like a picnic table and a water table. We also wanted to make sure that she could navigate this fully independently, which meant that she would need an accessible path from our cement patio out to the playhouse area. With all that in mind, here’s what we created! We started with a spacious platform on the ground with the idea that the playhouse would sit in the corner of it. A little space for some chairs out on the "porch" and extra space on the side for more room to play. The sweet little gate railing serves as a safety precaution so she can accidentally roll off and hurt herself. Plus its cute. Some paint, a few shutters, and even a couple of window boxes, and this house is fit for princess! The final step (and probably most complicated) was to create a pathway from our back patio to the house. We needed to also include a ramp that would conquer the four inches or so of elevation from the grass to the platform. We decide to pull out all of our grass along a marked pathway to better even the soil. A dirt bed was created and packed in, and then we custom cut boards to follow along the path. My kiddos also love to swing! So we added a freestanding swing set. Eliza’s swing has a special contraption on it called a Baby Swing Sling which gives her extra support to sit on a standard swing. It’s right off Amazon and so cool! We also moved our chalkboard over from the old house! The kids love to draw and it’s a perfect height for Eliza both in her wheelchair or to stand and draw in her braces! Love!! All in all, we’re so happy with this space. It’s a space for any kid, wheelchair or not. But the fact that our gal can fully participate is definitely something special! We are officially a month out from our shunt revision in March, and I can happily say that this surgery was an excellent decision. I can’t tell you how good it feels to type that because in the days leading up to it, J.B. and I felt absolutely tortured. Her scans were so clear, but her symptoms were so bad. It was logically the next step, but it’s also incredibly hard to give the nod to a neurosurgeon when you don’t have brain scans to back up the decision. Needless to say, we brought home a change gal last month. And it’s stunned us over and over again to watch her bloom. 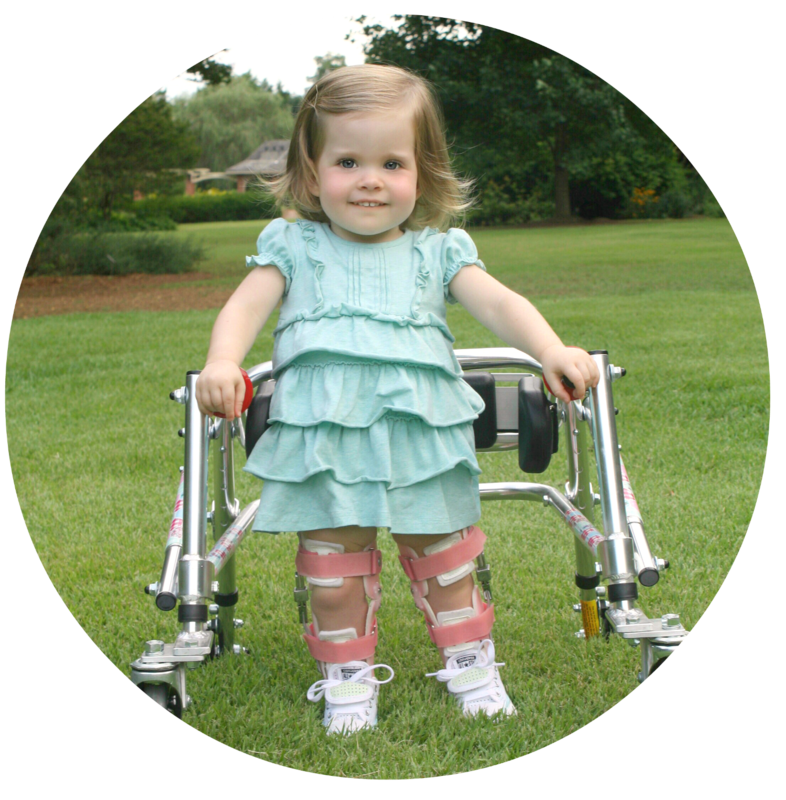 Because her shunt failure was so slow and intermittent, we never saw the dramatic change that many people experience in this situation. We didn’t even realize just how different she had become over time until after surgery, when her full, feisty personality came back in full force. Follow your gut. Mom gut is so real. Trust your team. I’d put my money on Vanderbilt’s neurosurgery team a hundred times over, and I’m so glad to have the relationship with them that we do. Now, we just get to watch Eliza doing what she does best: impress us! Her already fantastic language has blown up! Her physical therapy has taken off! And her overall attitude is just so dang enjoyable! Even that big patch of hair they had to shave worked out fine. It's right under where her hair bow rests! Woohoo! God is good all the time! And all the time, God is good. 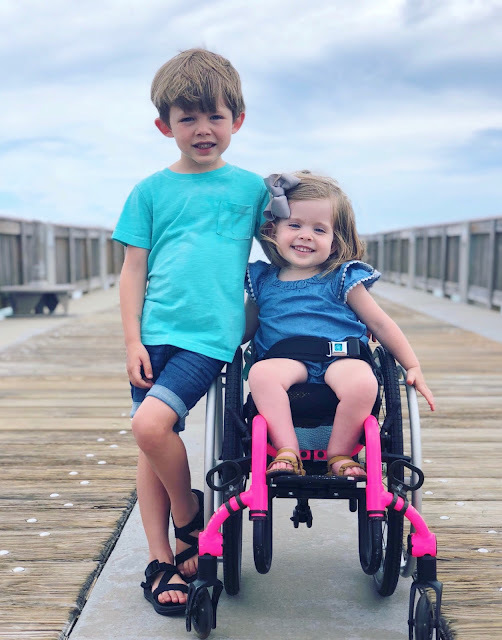 We squeaked in our D.C. trip for Jake just days before Eliza was scheduled to have surgery, but as soon as we were home again, it was back to business. While it wasn't emergent, our gal really needed some serious attention. We arrived at Vanderbilt in the wee morning hours and after a good deal of prep, our gal was in the operating room by 10 a.m.. The surgery that our neurosurgery team would be doing would be an exploratory brain surgery and a shunt revision. What is a shunt? 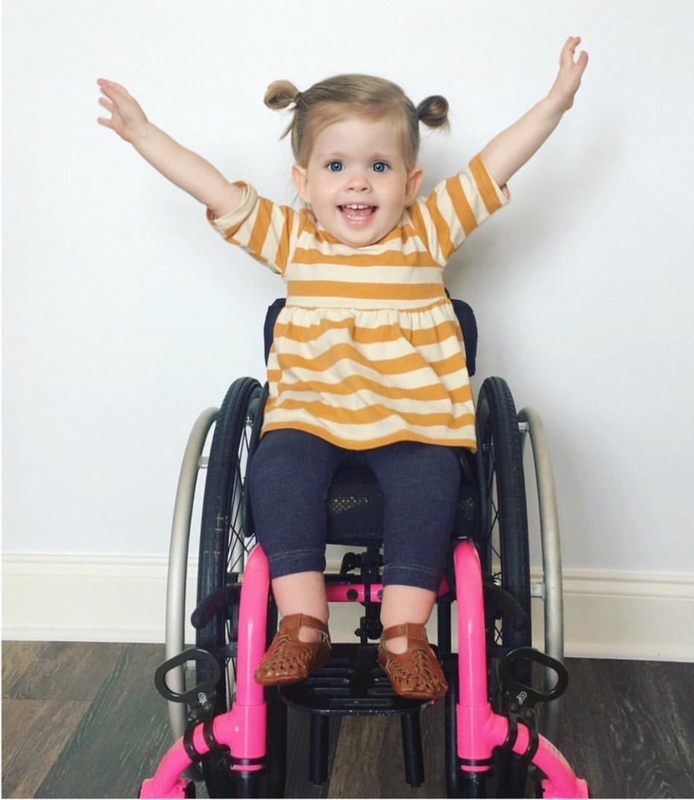 Well, Eliza has a condition known as hydrocephalus, which is very common among individuals with spina bifida. It means that cerebral spinal fluid created in the brain has a hard time draining down through the rest of her body. Obviously, the brain cannot have massive fluid build up! Most with hydrocephalus have a shunt in their brain that creates a path for the spinal fluid to drain properly. Despite the fact that its brain surgery, shunt surgeries are typically pretty quick and simply, thankfully. Our neuro team was taking quite a bit longer in the operating room this time because they were also doing an exploratory surgery along with the revision. Giving the confusing nature of both her symptoms and her scans, it wasn't clear if Eliza's shunt really was malfunctioning or working property. Basically they wanted to troubleshoot the existing shunt in order to confirm the malfunction. This was our biggest worry. What if they didn't find anything wrong with it? What if we sent our gal into the O.R. for no reason? Even though it was the best option for her, this mama was seriously stressing in the waiting room. Thankfully, in the operating room, our neurosurgeon did find that Eliza's shunt had several clogs in it. It was only partially functioning. After replacing all the equipment in her little noggin', she was stitched up and sent on to recovery. While her anesthesia recovery was a hot mess (typical for my gal), she actually slept well in the hospital that night. I credit it to the massive amount of Disney movies that I brought with us. I wore her out with cartoons and the nurses loved coming into our room and bursting into song. Since she was eating and sleeping well, the neuro team felt comfortable sending her home early. After just one night! Go Eliza! And what a girl I brought home! She was absolutely changed!! Her personality was so bright! Her speech crystal clear! She was busy and silly and fun! This malfunction had been going on for so long (4 months) that we had almost forgotten what life used to be like. No pressure on her brain? Of course she feels better! It was such a joyful celebration to see her light up again! We'll have to work on that big section of shaved hair, but by golly, a small price to pay to have our gal back! This guy!! He has the most amazing big brain, but an even bigger heart! Jake is a mama’s boy that dotes on his sister and wants to be just like his Daddy. He tags along to all kinds of therapies and doctors visits without a single complaint and selflessly cares for others all the time. So by golly, it’s time for something special just for Jake! Our boy loves to travel more than any kid I know, so what better birthday fun than a trip? He’s spent months guessing cities all over the map and we’ve spent months teasing him that he was going to get an epic birthday trip to Decatur, or maybe Cullman. But the day arrived!! Since Jake is currently obsessed with American history and plans to be a future President, there only seemed to be one perfect place to take him this year. And while he would have been happy going to any new city, he’s been praying this week that we had picked his #1 choice! Pack your bags, Jake Wilder! It’s birthday week! And YES, we’re going to D.C.!! D.C. also seemed like a great option for Eliza. The city is said to be super accessible, and while navigating a big metro area with a wheelie kiddo would be a new challenge for us, we wanted to give it a go! Our trip was full of the biggest D.C. highlights, so Jake could nerd out to the best of his abilities. The day we arrived in D.C., we decided to go out on foot and explore the area around our hotel. Fortunately that area included one of the biggies - the White House! Afterwords we grab dinner at a local place old Ebbitt Grill. My sister-in-law who wants was on staff in the White House sent us this recommendation. It’s been across the street for years and is a hot spot for a lot of local politicians. The added twist? It was also St. Patrick’s Day! The restaurant was decked out to celebrate for Ireland and even had a touring bag pipe section playing every 10 minutes throughout the restaurant. The kids went crazy for it! Our first full day in DC we were ready to maximize our time and see as many of the sites as we could. Because both parking and traffic in DC is so difficult, you can’t really expect to zip from one thing to another without spending boatloads of money and/or time on travel. We decided to skip all of that and booked tickets with the Old Town Trolley tours. The trolleys stop at 25 awesome sites around the city and run every 30 minutes so you can hop on and hop off at any of the sites you’d like to visit. Since almost every place you want to see in DC is free, the cost of the tickets wasn’t that big of a deal for a full day of sight seeing. The trolley tour would also pick us up from our hotel and bring us to their first stop, so we could jump on the tour. Win! The tour actually begins right across the street from Ford’s Theater, where President Lincoln was shot during a show. Tours of Ford’s Theater are free but you have to snag a ticket in advance to get it. Thankfully I figured this out 48 hours ahead of time and was able to grab those! The tour was great! People were lined up outside the theater for their time slots, and when the staff saw us in like with E’s wheels, they pulled us out of line ahead of time to come inside and use the elevator to get to each of the tour floors of the theater. We got to sit in the audience and hear a Ranger give the account of what led up the night. Super cool! From there we jumped on the first trolley! Most of the trolleys are accessible with chair lifts, but not all. They gave us a phone number to call and said anytime we needed an accessible trolley, we could call and they went send one straight out to us! Wow!! But as it turned out, Eliza’s chair is tiny enough to fit on any trolley! So no need for any special set up! We spent the day traveling all over D.C.! Stops like the Washington Monument, the National Mall, the Jefferson Memorial, the FDR Memorial, Union Station, Arlington Cemetery, the Lincoln Memorial and more! What we didn’t stop at, we could see from the open air trolley so the views were awesome! Jake went crazy and each and every stop. I teared up, reading to him the words from the Declaration of Independence inscribed on the walls of the Jefferson Memorial. So proud to have a family that represents differences, a country that acknowledges that as a positive thing, and little boy who loves all people with all his heart! One of our most special moments happened at the FDR Memorial when our gal found a statue of the former President that absolutely lit up her day! She went flying up to FDR in his wheelchair and said “I can be just like him!! !” It was amazing, y’all! Yes, baby girl, you absolutely can! Whew. So much for my mama heart. We finished out the day by walking back to our hotel and happened to stop by the Smithsonian Museum of Art. We didn’t plan to do museums that that, and honestly the Art Museum wasn’t on the short list, but Jake informed us that he HAD TO see the Hall of Presidents with all of the presidential portraits. Definitely a fun stop! He loved the JFK and Obama portraits because they both had a lot of turquoise. Ha! His favorite color! Just like a kiddo! We started the morning by trying something we were terrified of - The Metro! Just like the Subway in NYC, it’s an underground system that runs through the city. We didn’t know what we were doing to begin with, but how tricky would it be with Eliza? Would it be accessible?? We did it!! Finding elevators down to the Metro was definitely the trickiest thing since there weren’t all located in obvious places near the stop - sometimes as much as a block away! Once we learned how to look and what we were looking for, we felt less idiotic. And where were going? The National Zoo! We spent the morning checking out animals, especially the sweet pandas! Afterwards we headed back downtown. Eliza took and nap and Jake and I explored the Smithsonian Air and Space Museum. Around 4pm, we got to surprise Jake with the best moment of the trip - a private tour of the Capitol!! One of my awesome mom friends lives locally and reminded me that her hubby was on staff there. He called and volunteered to walk us around the Capitol building!!! How fun!! We got to see all the cool spots in the Capitol, and even sit in the galleries of BOTH the House or Representatives and the Senate! While they were in session! Best yet?? The House was have a special vote that night on two bills! We got to sit in the gallery and watch the first one. Then for the second one, our friend Danny took Jake down to the House floor. Jake got to meet Mo Brooks, our representative in north Alabama. And Congressman Brooks took Jake onto the floor!! JB and I watch from the gallery as Jake got vote on behalf of Congressman Brooks! So so so cool! No one is allowed on the House floor aside from Congress, staff or children under 12 that are escorted by Congress! Y’all!! His life was made!!! Such an amazing day! Jake’s birthday!!! We started with presents in bed, of course!! And spent the day doing everything Jake loves! Museums and local pizza! We took the metro everywhere because the kids were obsessed! And we spent the morning at the new Museum of the Bible, which was amazing! We ate lunch in their cafe, which all more authentic food to how things were in the Bible. Jake LOVED tasting new things! Then we spent the afternoon on the Mall going to the American History Museum and the Museum of Natural History. Then we went out for pizza! They surprised Jake with a brownie cake at even scrounged up some candles the restaurant! This mama was so thankful because I totally for that! The next day, we left Washington DC in six inches of snow! Just a super fun little way to say goodbye!! What a great trip for our whole family! We had the BEST time!! Happy Birthday Jake!! There is a plan! I repeat, there is a plan! For the past two weeks, we’ve done what we do best and have trekked our way back and forth on I65 to Nashville. Eliza had a day of testing and sedations, a day of SB clinic, and a day of neurosurgery appointments. Ultimately, teams like orthopedic surgery, urology, nephrology, and physical therapy all signed off on her pain symptoms. “It’s not us”, they said. Which was necessary, but expected. That leaves us back to the basics with neurosurgery. So here’s the catch in all this craziness... Eliza has been in serious pain now for three months. We’ve been tracking her symptoms and complaints since December. She’s slowed down to almost a stop, is struggling with her vision, has lost movement in one leg, and has constant pain in her back and neck. At times she gets headaches she just screams through until they pass. But...her scans are flawless. They are perfect! Vanderbilt has tackled multiple fast sequence MRIs, sedated scans, and X-rays searching for the source of this business, but everything looks just right. This week we met with our team and I basically told them under no uncertain terms that they absolutely would come up with a plan because Eliza isn’t continuing on indefinitely. We needed something . A course of treatment. Anything other than just watching her decline. Thankfully, they wholeheartedly agreed. They’ve spent a lot of this time alongside us, watching her fall apart. They knew her normal and they knew this mama doesn’t play. So there’s a plan! Her neurosurgeon feels pretty confident that Eliza has an intermittent malfunction in her shunt. Basically it works, then it slows to a clog, then it doesn’t work, then the built up pressure of the clog clears everything thru and it starts all over again. It would explain why she doesn’t feel well most of the time, but also why her acute shunt failure symptoms are still resolving themselves. They’ve asked to do an exploratory surgery on her brain to try to locate the problem. Ultimately, they’ll also be replacing her shunt while they’re in there. But it’s the best option we have. It’s where we have to start. They do not consider Eliza’s case to be emergent yet. We also have a vacation planned for next week (yay for the ever awkward Wilder timing, ha!) so they’ve asked that we observe for two more weeks and then meet up in the OR. Guys, just having a plan feels so good. It’s weird to say that. Who’s excited about their kid having brain surgery?? But SOME action is needed. Eliza’s quality of life is the pits and that’s no longer acceptable. I’m so grateful that we have a team that leans in to listen and trust mom and dad. And that knows our kiddo well enough themselves to have their own gut feelings. So surgery in two weeks. And since you’ve hung in there through my pitfalls and whining the last few months, I can absolutely promise that the next update here will be a fun one. We have quite an adventure planned for our oldest, Jake! Stay tuned to travel along! The crazy season of 2018 appointments continues! Our big win - Bladder surgery was a great success!! We’ve walked a fine line with urology for the last year, always feeling like the other shoe will drop at any time. But another successful surgery is fantastic news! Hopefully this one will hold things off for another six months or so! The bad news - poor Eliza has been really struggling. She’s dealing with a lot of pain for the most part. Back pain, neck pain, and headaches, which as you can imagine, don’t bode well for a kiddo with her history. Her whole demeanor has changed dramatically since December and we are really struggling to keep her comfortable. Our physical therapists aren’t getting much out of her and her entire body just seems so much weaker. I’ve been in communication with our neurosurgery team about her slow decline over the past few months and we’ve set up an array of scans and appointments to see what’s going on. Things got especially acute a few days ago, and we found ourselves in the Vanderbilt ER. I would have put all my dollars on the idea that our girl was having a shunt malfunction. So many of the signs were there! But after being at the hospital for a few hours, she magically perked up a bit. 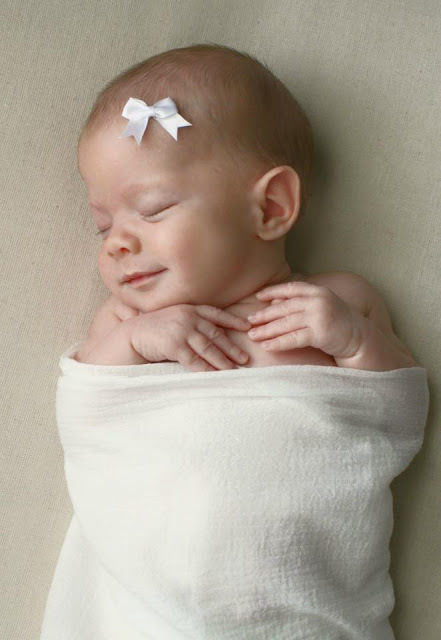 They ran all the typical tests to check things out (MRI, X-ray series of her shunt) and everything was perfect. UGH!! I can’t even begin to type how frustrating it is to deal with something so obvious, then have it slip away! I felt like a crazy person! But we agreed with neurosurgery to keep our upcoming appointments next week for the more intense testing that would find more definitive details. And in the meantime, we’ll keep an even closer eye on our girl. Seeing someone so tiny, in so much pain, for such a long time, has been really hard. We are desperate for her to feel better. The good days are tolerable - grumpy and whiny and slow to get through. The bad days are torture - Eliza in constant tears and usually me holding her most of the day. It’s no way to function. A miserable toddler and chaos of all the mountains of individualized trips to Vanderbilt lately are wearing on us all. I guess this is one of those complaint ridden, hard times updates. I try not to give off the air that things are difficult, but quite frankly, sometimes they just are! Isn’t that true of anyone’s life? Sometimes things are just hard. We are overwhelmed with appointments and travel time at the moment. Overwhelmed with how many specialists have big concerns with her health. Overwhelmed with home life being difficult with her being in this much pain. Overwhelmed with trying to keep up with the every day things on our calendar. Overwhelmed with how sadly unsupportive much of my family has been for Eliza and knowing what a difference involved family could make at a time like this. So we just take a deep breath and acknowledge that this is a season. It’s frustrating to have her grandparents living nearby and not so much as ask about her or see my kiddos for months, but that also means we are all the more thankful for the few folks that we depend on constantly! Lifesavers! Weekly trips to Vanderbilt and hotel stays are wearing on us, but we see some of the best specialists in the WORLD! My gal is miserable and it’s breaking my heart, but I’m on top of this. We WILL figure it out. She’s a gem for hanging with it and like all things, this too shall pass. So if I have a little less patience. If I say “no” to things more often. If I want to spoil Jake for being such a trooper. Just go with it. This too shall pass! Crossing our fingers for some news next week!